Here’s another nicely posed tourist at Minnehaha, on the Park Board’s large stone platform. 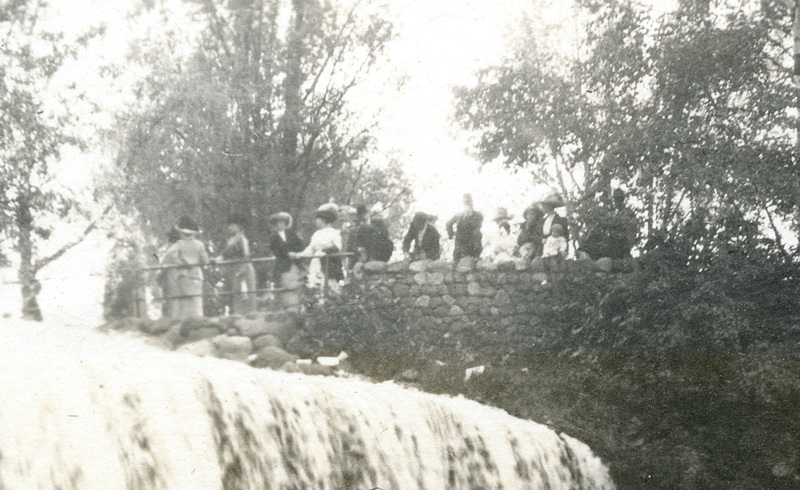 During the 1890’s, the Park Board also built the boulder wall that still exists today on the north side of the gorge. 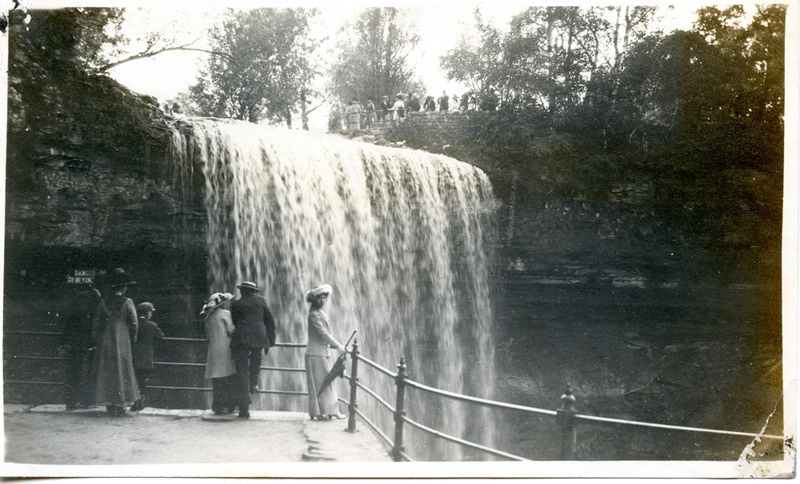 Before the bridge across the creek, standing near the lip of the falls was a popular viewing place, too.